“I know what love is,” the sincere Forrest Gump famously proclaimed. I was a bit taken aback by a recent Facebook discussion. One of my friends proclaimed that love is letting each person do as he or she wishes as long as the actions do not hurt anyone else. The context was this: Her friend insisted on continuing to drink alcohol even though further drink could kill her. “It is not hurting me and she just can’t help it the way she drinks,” her statement went. The ancient Greeks had four words for love. One, storge, is the natural love of a mother for her baby, for example. A second form of love, philia, constitutes the natural love that we have come to call brotherly love in which related people cooperate with each other and have a natural affection. Eros, or romantic love, is the third. The fourth, which was vaguely specified in ancient Greece, agape, came to be known by such scholars as Thomas Aquinas as love that is in service to others for the others’ good. I think that my Facebook friend had in mind the agape variety of love as she proclaimed her friend’s right to drink herself to death. Yet, such tolerance is a poor substitute for the real-thing of agape love because letting the friend die, perhaps a painful or even tortuous death, hardly is in service to that other. Since when did tolerance become equated with agape love? “As long as it does not hurt me” sounds much more self-serving than other-serving. Have we so privatized love that it means letting others do as they please regardless of the outcome…..as long as the other really, really wants to do this and as long as I am not directly and concretely harmed by the action? This seems to me to be the antithesis of genuine love, which would express concern and attempt to help, even if this made the helper uncomfortable……or even made the other uncomfortable. “I know what love is.” Love unexplored and proclaimed as tolerance does not seem much like love to me. Those are the words that 81-year-old Auschwitz concentration camp survivor Eva Mozes Kor posted on her Facebook page after she encountered a former Nazi guard during his court trial. 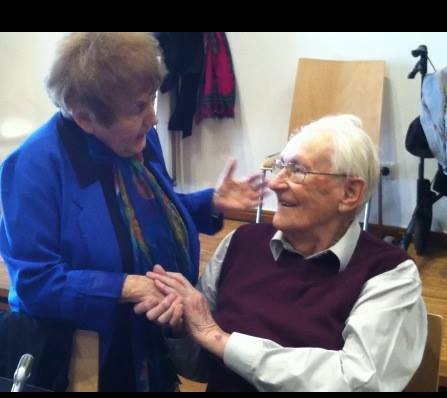 Holocaust survivor Eva Mozes Kor with former Nazi prison guard Oskar Groening. Former SS Sgt. Oskar Groening is being tried in Germany as an accessory to the murder of at least 300,000 Jews at Auschwitz. Groening, now 93, admits he kept watch as thousands were led to the gas chambers at the concentration camp. Kor, who was subjected to horrific medical experiments at Auschwitz, testified last week at Groening’s trial. Afterward, she approached the former SS guard in court to “thank him for having some human decency in accepting responsibility for what he has done.” To Kor’s surprise, Groening kissed her on the cheek and embraced her. Kor posted the photo on her Facebook page but wrote that she still holds Groening accountable for his actions during the Holocaust. After 39 years in prison for a crime he did not commit, Ricky Jackson became a free man last November after a judge threw out his conviction for a 1975 murder at a Cleveland grocery store. The conviction was based on a lie told by a 12 year-old boy who was under pressure by police to say he witnessed the crime. Eddie Vernon, the boy who is now grow up, recanted his testimony, which freed Jackson and two other men who were also convicted and imprisoned. In light of Vernon’s recantation, the state withdrew their case. The hearing ended on a Tuesday. That Friday, 39 years, 5 months, and 27 days after his arrest, Jackson walked out of the courtroom unshackled, making him the longest-serving wrongfully convicted person in American history. Amazingly, Jackson was not revengeful nor vindictive, but forgiving. The Christian Science Monitor, April 12, 2015. Aleteia, a worldwide network sharing faith resources for the world’s 3.2 billion Catholics and Christians, April 1, 2015. My stepson is going through the separation from Hell. It is so bad that he and she cannot communicate in even the slightest way, and I fear that in the long run this will have a terrible effect on their son, who is four and learning to navigate their mutual hostilities. I logged onto your site thinking to share it with him with the idea that that would be the start of things getting better, even if she didn’t respond in kind. But reading the entries I thought back on my own relation with him, having seen him being abusive toward his mother when he was younger and living at home, and now seeing that the current circumstance has made him overly dependent on her emotionally. Furthermore, we had to take on debt to pay his legal bills which I view as having been incurred by his making stupid choices along the way, all of which my wife completely concurred with, and then he tried to hide the money he does have by involving my wife in a fraudulent scheme with foreign banks. I can’t stand to be in the same room with him because he is so self absorbed and always presents himself as the victim with no thought that he may have contributed to his own plight. But my wife of course is completely intertwined with him now, not only because her son is suffering, but also because there is a grandchild involved, and that impacts my marriage. So forget about my encouraging him to forgive his ex. I have my own problems forgiving him, and forgiving my wife whom I love dearly in every other aspect of our lives together. Thoughts on that? I am sorry to hear of your troubles with your son. From your letter, it seems to me that your son is fuming with anger and this started in childhood. He has shown a history of inappropriate behavior and he apparently has brought this anger into the marriage. You are correct: If he does not address that anger and take steps to diminish it, this will affect all of his important relationships, including with his wife, with his own child, and with you as his father and with his own mother. If he refuses to forgive, then take it slowly with him. Forgiveness cannot be rushed or demanded. He will have to choose it for himself by being drawn to the idea of forgiving others. He may need to forgive his mother for over-indulgence. He may have to forgive you for your deep anger toward him (as you practice forgiving him). And he and his wife need to engage in forgiving and receiving forgiveness from one another if they will save their marriage. If your son refuses to forgive, remains furious, and places all blame on others, he could be suffering from narcissism, especially if he was over-indulged when growing up. He will need to see this narcissism, practice humility, and even work on seeking forgiveness from those toward whom he has been insensitive. This is a long list of forgiveness themes. I recommend that your start slowly and see if your son is able to consider forgiving his mother. At the same time, you should consider forgiving him so that your interactions with him are as supportive and loving as possible. See him as emotionally wounded rather than as a big problem for all in the family. This perspective may assist you as you begin to forgive. 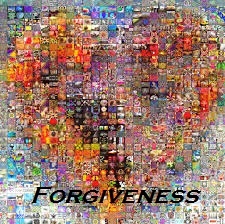 I saw on your Facebook page, International Forgiveness Institute, a post on how humility plays a part in forgiveness. I am somewhat confused about that. I have been taught that humility is to lower yourself below other people. Why would you want that for people who forgive? Humility is not the false belief that you are lower than or worse than other people. It is the correct thought that you are equal to other people, not worse than or better than them in your essence. This, of course, does not mean that one denies the reality that one might be, for example, a better tennis player or a worse singer than others. Our roles do not determine who we are as persons and so we can make distinctions among persons with regard to skills or accomplishments, but not among persons with regard to inherent worth. Thanks for all you do, Dr. Forgiveness. What do you think are the differences between these terms? Mercy, grace, forgiveness, compassion, and love. Grace makes possible love (agape love or service love). Mercy flows from love. Love makes possible mercy, or the willingness to give people even more than what they deserve in a justice-sense. Love and mercy make compassion possible, which is the decision and feeling of suffering along with those who suffer. Grace, love, mercy, and compassion make possible forgiveness which is to love and have mercy and compassion on those who are not having love and mercy and compassion on you. Please keep in mind that this is not some kind of neat-and-tidy process through which you will be progressing in a steplike fashion. Forgiveness is not that predictable. You may find yourself going back to parts of the process you thought you had conquered long ago. For example, you may be near the end of the process and discover that you still harbor considerable anger toward the person (anger comes near the beginning of the entire forgiveness process). You then may cycle back to the beginning, do some work on your anger , and jump back to the end of the process. 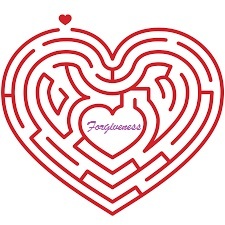 Be ready to go backward and forward in the forgiveness process, depending on your particular needs with a particular person whom you are currently forgiving. Enright, Robert D. (2012-07-05). The Forgiving Life (APA Lifetools) (Kindle Locations 834-839). American Psychological Association. Kindle Edition.